I usually end up in Berlin about once a year, either for a conference or to enjoy the street art and let my mind unwind. 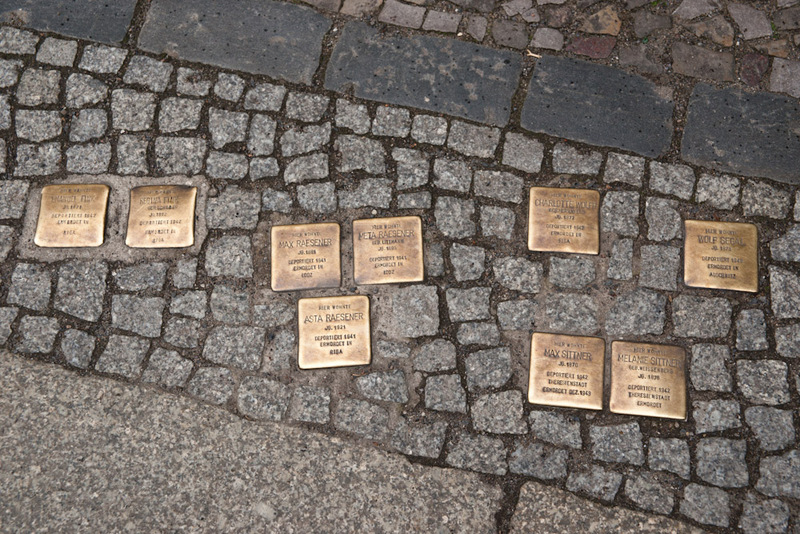 Berlin is a beautiful city, mainly because of the awesome people, partially because it’s in flux, partially because the history of the city is more prominent than most cities are brave enough to display. This instils a sense of reflection where ever I walk through the city. 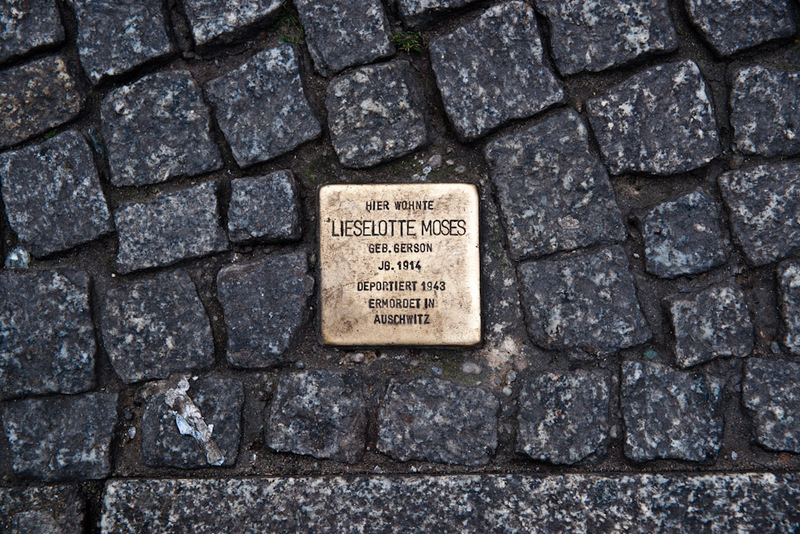 It’s easy to walk around a city and not know the stories on the walls and the history of the people. 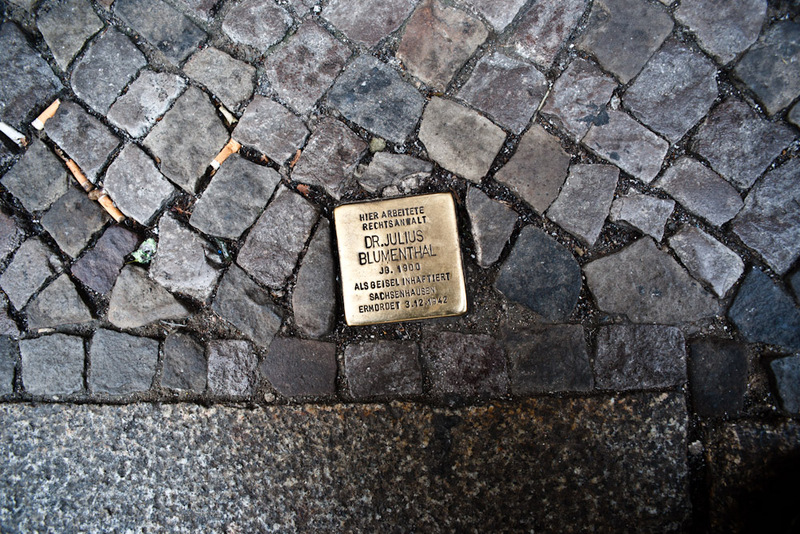 You walk through Kreuzberg and you might not look down at the sidewalk, but if you do you might see small brass monuments set in the stones of the street beneath your feet. 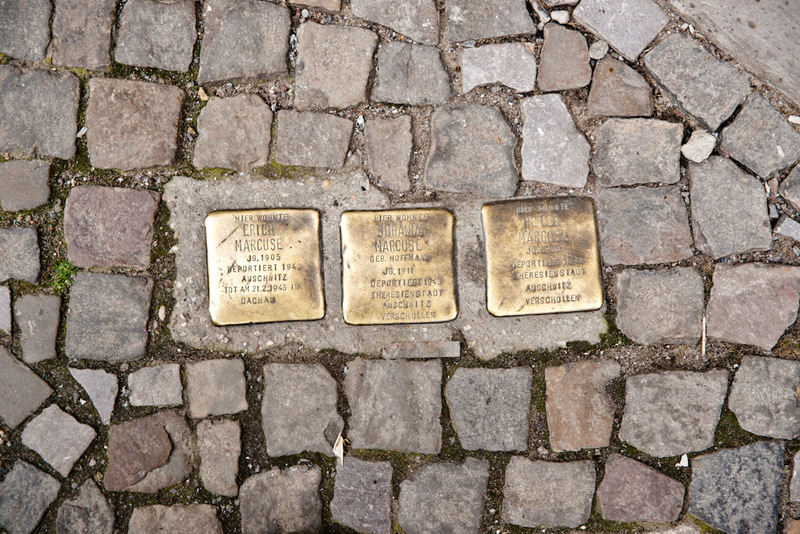 These are called Stolperstein, ard are memorial markers dedicated to victims of the Holocaust Nazi oppression. 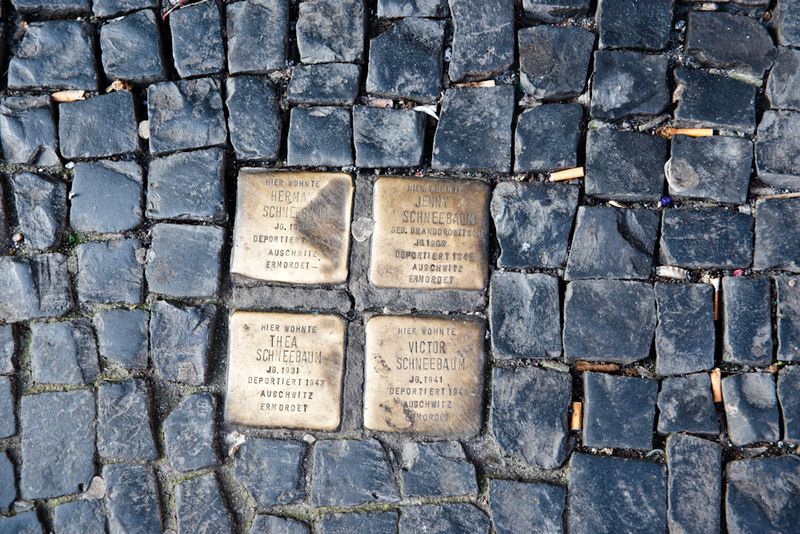 Each Stolperstein has name and is a monument to the people sent off by the Nazi to camps, or sterilized, or were deported and murdered. I photograph them whenever I see them because it makes me remember. Our history is so easily forgotten. If you have kids and they have kids, then probably you will be remembered until your grandchildren die. That’s as much recognition that history usually gives a person. Things are changing in the internet age, but virtual worlds do not replace the tangibility of the world around us. We build monuments because they last longer than paper and are placed in the open for everyone to see and visit with their thoughts. 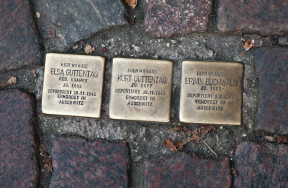 They communicate simple messages, like a name, date of birth, and if a person was murdered in Auschwitz or exiled in Shanghai. We walk by buildings where beautiful and horrible things have happened each day and usually don’t have any idea. This was one reason why I started the Lost In Reality project, so that part of the history of our world would be remembered in stories tied to places. Tweets and Facebook updates are forgotten five seconds after you read them. I wanted to enable longer conversations between people and the places they walk through. I think it’s good to have lofty goals, because when you understand the history of your environment and all the stories hidden all around you, then you understand better your context in life. 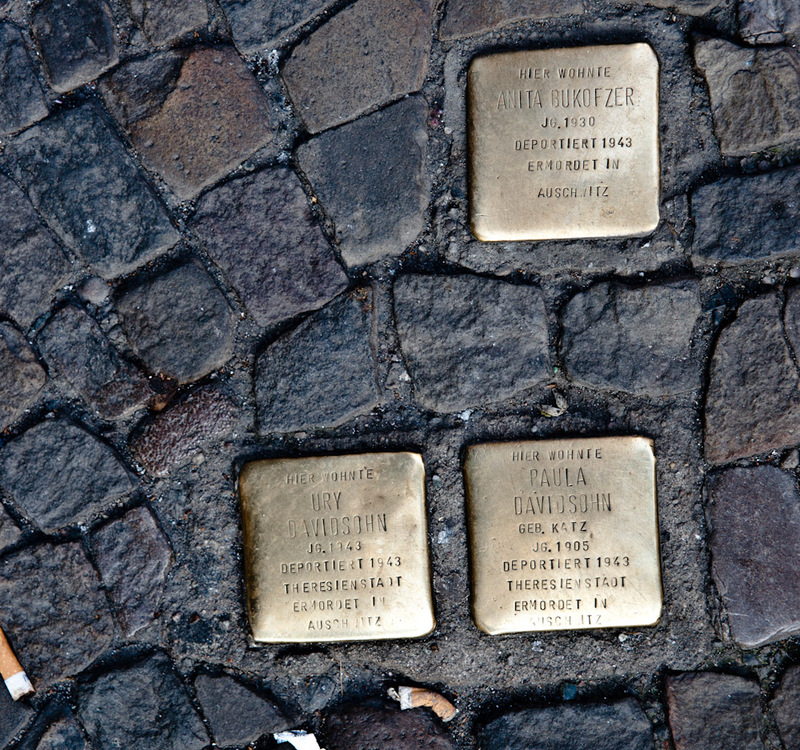 The Stolperstein are reminders to what happened in the past, and for me a warning to what happens in the present in other countries, and what could happen in the future. People like you and me pulled from our homes and sent off to be murdered. 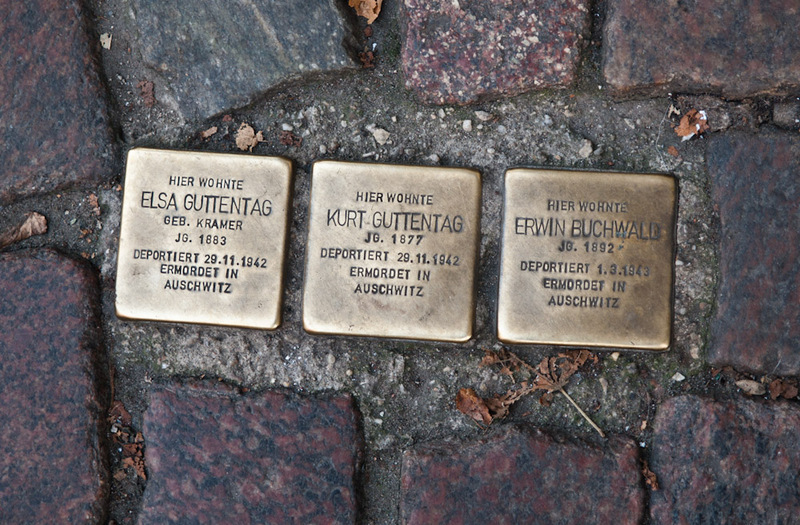 When I see them I read the names in my head and wonder what they looked like, what their voices sounded like and what it felt like when they were taken away, stripped of the freedom I take for granted walking down the same street. For me they are a reminder that life is precious, that we should enjoy the moments that we have, and we should stand up when those around us are victimized. If a place doesn’t move your emotions, what was the point of traveling there. 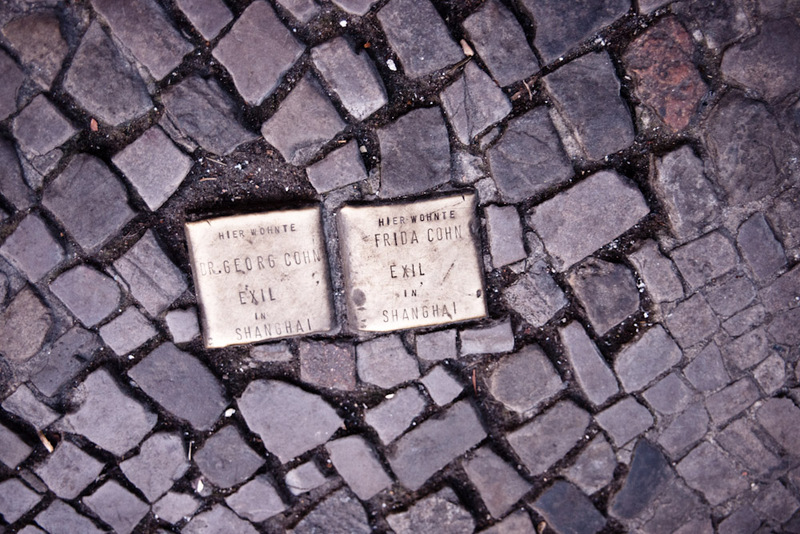 To learn more about Stolperstein, visit the Wiki Page. 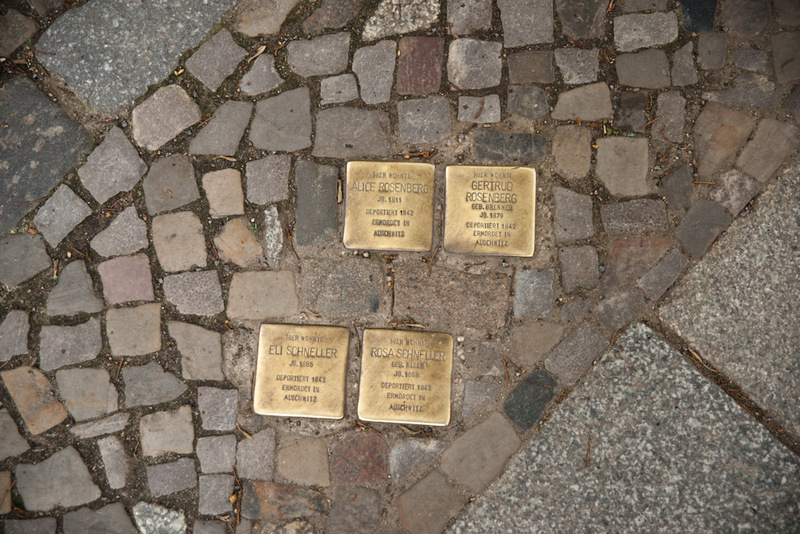 “While the vast majority of stolpersteine commemorate Jewish victims of the Holocaust, others have been placed for Sinti and Romani people (also called gypsies), homosexuals, Jehovah’s Witnesses, black people, Christians (both Protestants and Catholics) opposed to the Nazis, members of the Communist Party and the Resistance, military deserters, and the physically and mentally disabled. 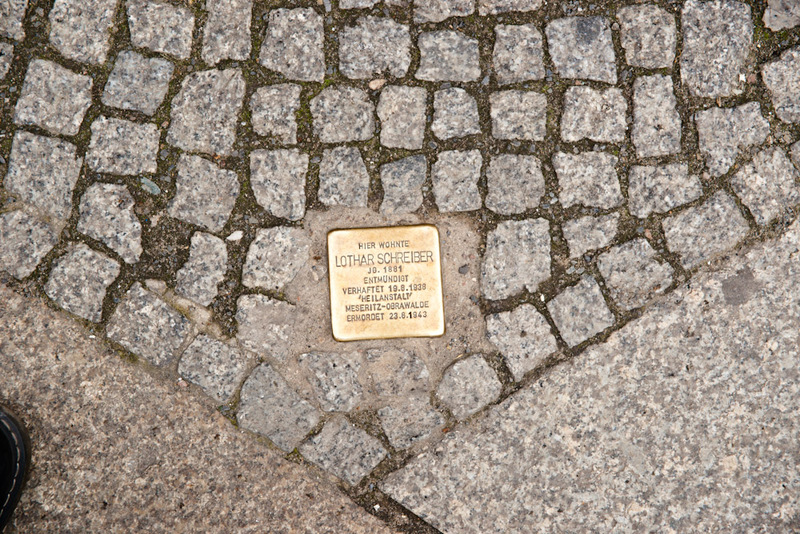 Berlin is the city of my dreams. Sad but true. Humans tend to kill themselves all the time.